عندما تزور كيرنز, ستشعر أنك في بيتك في فندق إيبيس ستايلز كيرنز الذي يقدم لك إقامة متميزة و خدمات عظيمة. يمكن من هنا للضيوف الاستمتاع بسهولة الوصول إلى كل ما تقدمه هذه المدينة النابضة بالحياة. بالنسبة لمن يريد الخروج، هذه بعض المعالم السياحية المتوفرة للزوار Cairns Skin Cancer Clinic, Centre of Contemporary Arts, JUTE Theatre Company. إن الخدمات الممتازة وحسن الضيافة العالي في فندق إيبيس ستايلز كيرنز تجعل إقامتك تجربة لا تنسى. تتضمن الميزات الرئيسية في هذا الفندق: واي فاي مجاني في جميع الغرف, خدمة التنظيف يوميًا, خدمة غسيل ذاتية, مكتب الاستقبال على مدار الساعة, تخزين الأمتعة. في فندق إيبيس ستايلز كيرنز غرف نوم يزيد عددها عن 75 صممت بذوق وعناية لتوفر لك كل وسائل الراحة . بعضها يحتوي أضاً على تلفزيون بشاشة مسطحة, اتصال لاسلكي بشبكة الإنترنت (مجاني), حوض الاسترخاء, غرف لغير المدخنين, مكيف هواء. يقدم الفندق مجموعة واسعة من وسائل الراحة المتنوعة، كمثل: حمام سباحة خارجي, مسبح (للأطفال), حديقة, رياضات مائية (آلية). استمتع بخدمات لا يعلى عليها وعنوان ذو اعتبار في فندق إيبيس ستايلز كيرنز . Rooms are dark, no other view in ground-floor than to the conrete wall of the ugly balcony. 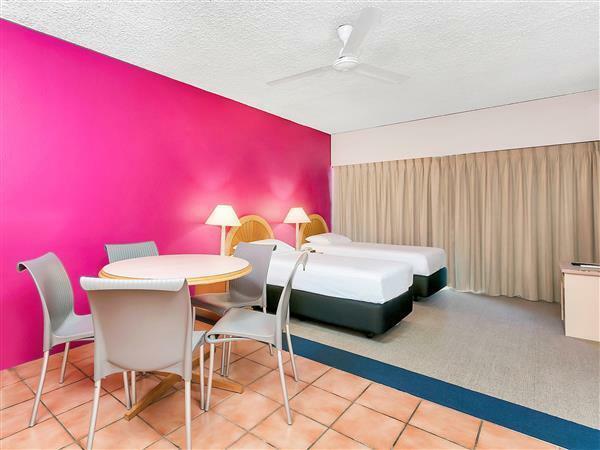 Pictures if the pool gave me the image of a spacious resort, but it is just a motel level accommodation. Won’t stay there again. The hotel is very close to the esplanade- the F&B area beside the river. Staff (Elaine) was very helpful and friendly. 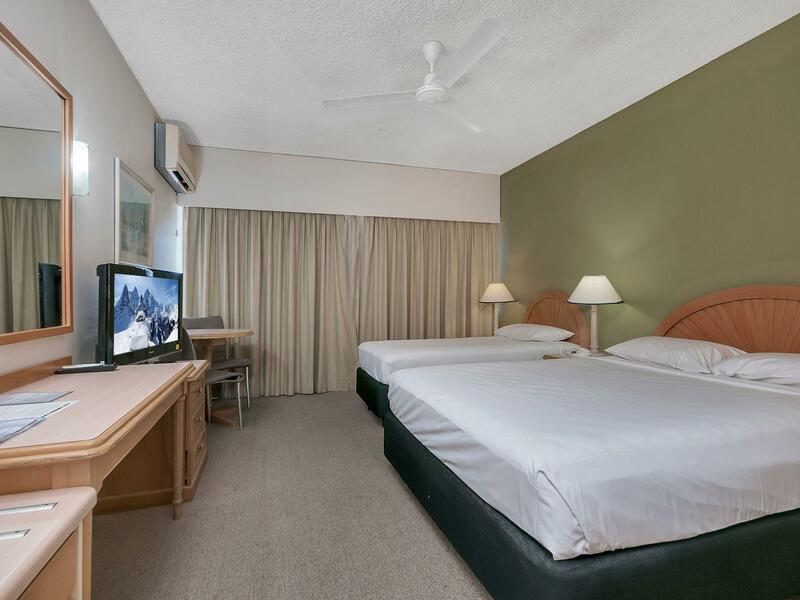 The room is quite basic but with comfort bed and good shower - quite important while you go out to the sea & rainforest activities . The staff were helpful and the rooms are large and clean. 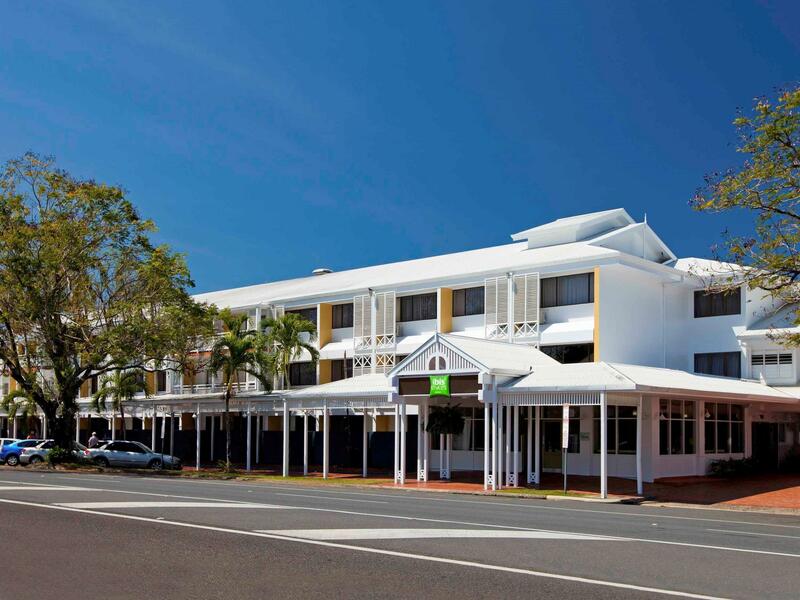 One of the few hotels I stay with in Australia with free WiFi which should be standard in 2015. Probably not up to the quality of Ibis hotels that I stay in overseas but it was acceptable and in a good location. 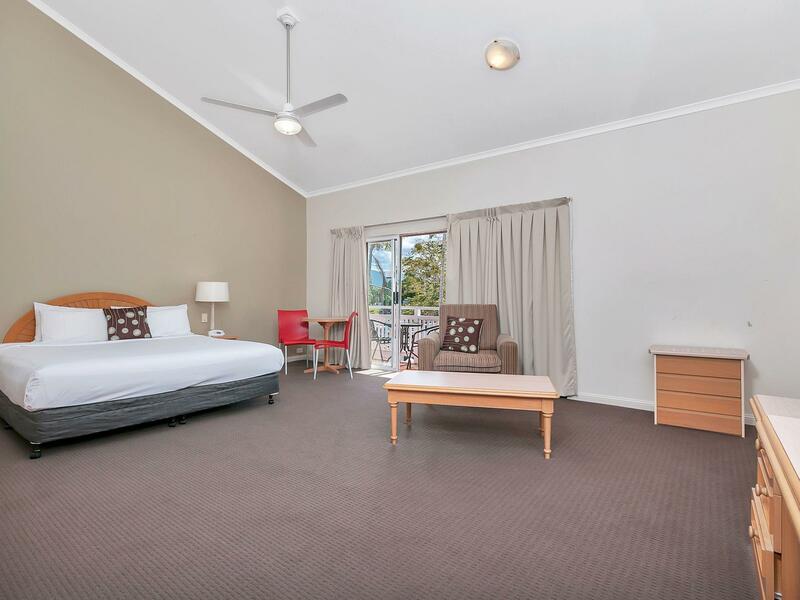 Clean, comfortable hotel and spacious family room. Cairns is an expensive place so we didn't use the restaurant, but staff were very friendly and helpful. Comfortable beds. 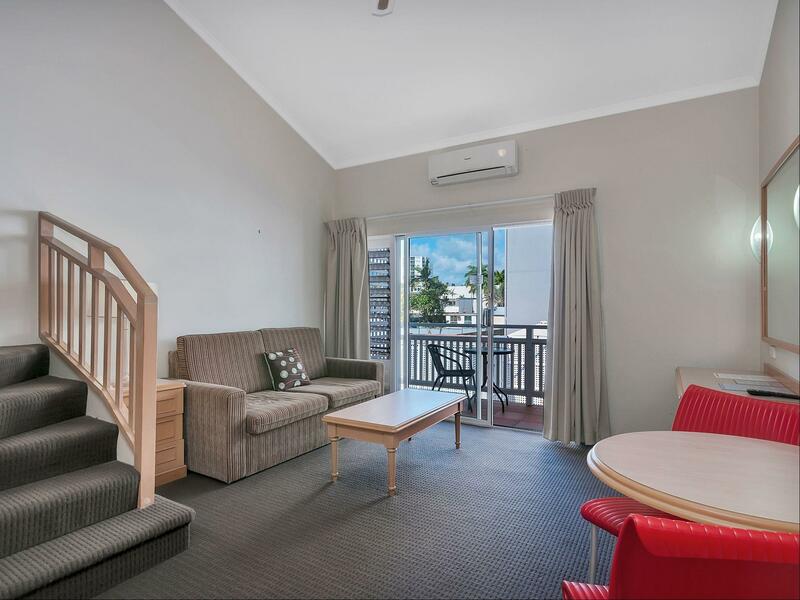 Easy walking distance to Esplanade, shops etc. Wifi a bit patchy but not too bad! Our stay was fantastic. We arrived to cairns exhausted and early and when we got to the hotel the friendly staff allowed us to check into the room early which was great. 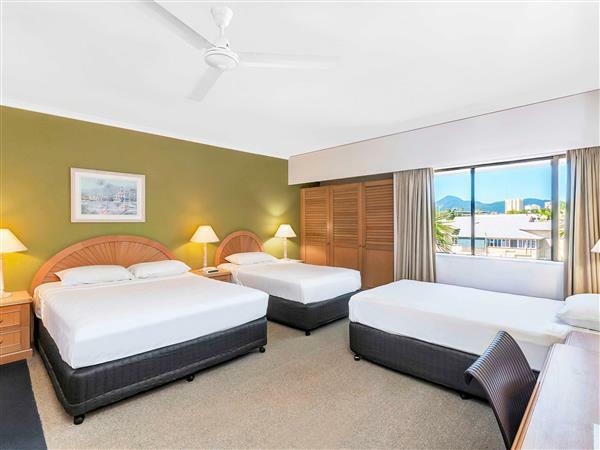 The room was spacious and perfect for a relaxing night in Cairns. Thanks for an awesome stay! I first stayed at Ibis styles in June 2016 but had to leave abruptly due to illness, but it was always my intention to return. This I did from 12-17/9/16. I stayed in the executive wing of the hotel, same room as b4. I found the staff to be exceptional and friendly, the room clean and most important 4 me quiet. I loved staying there and I will return to the Ibis next year at approx. same time as September in Cairns is quiet compared to the packed to the brim June-August. I love Cairns and my stay was made all the better for having such a great place to be based at. The location just 2 blocks from esplanade was also a plus. All in all for me I had a great stay and holiday in Cairns and at the Ibis. Do it. Walking distance to the Esplanade but not so close that you hear all of the traffic. Clean. Staff was very helpful and courteous. Pay washer and dryers are available. Restaurant hosted continental breakfast was good and hostess was pleasant. Breakfast extremelly poor!!! We paid an expensive price to have breakfast and then when we arrived there we discovered that the breakfast wasn't complete and we should pay extra $11 each per day to have eggs and bacon (that was the full breakfast). Helpful recepcionist, good location. I stayed at the Ibis for the last couple nights of my Australia holiday. The bed was very comfortable and the staff were great. My main complaint is the spotiness of the wifi. The main problem is that it would stop working altogether at random times. Continental breakfast was included but they try to up-sell you to the full bacon & egg buffet for AUD11 which I and the mostly French and German guests thought was a good deal. The room servicing staff were super helpful, as was reception who provided large umbrellas which were very necessary. location is good. Around 5 mins walk to night market and it is near to the pier. Room is big but smell strange. It's better to switch on the air conditioner a bit longer to disperse the smell.Hotel staff is polite and willing to answer our enquiry. 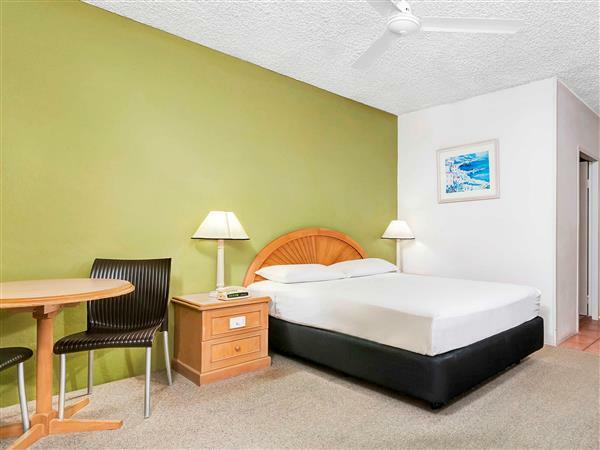 The room was very spacious, bed was comfortable and the staff very friendly. We enjoyed our stay, and also the breakfast was pretty good. We only had the continental breakfast which had plenty of options. We normally go the full brekky, and could have upgraded, but the hot foods didn't look great. I stayed with my family at a twin rooms with large room space for the kids. It take about 15 mins to the wharf where we took the boat to Great Barrier Reef. But there are no Chinese instruction for the Chinese people. Which is not good for the Chinese who do not know English. The staff is nice. The hotel is well located. The staff are very helpful. It is clean and well maintained. Everything was good about the hotel except 2 things; There is very little off-street parking for guests. Although the internet worked well downstairs it was extremely variable in a third floor room. Both of these things are important to customers. 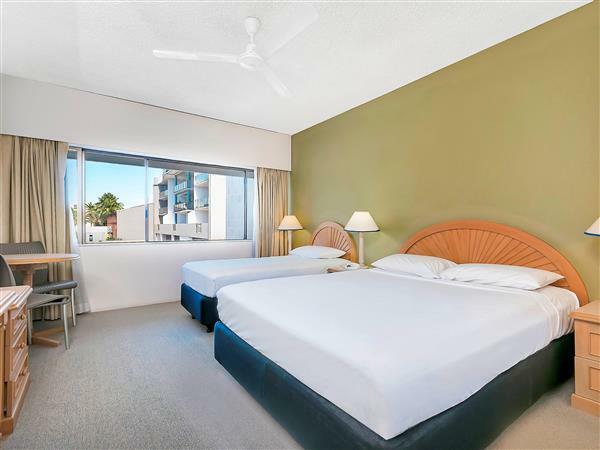 We had a great time in Cairns and enjoyed staying at the Ibis Styles. The location is great, central but no noise. The room was clean and large enough for 5 people to stay in comfort. We had a small problem with the air con but the staff were very helpful and fixed it right away. The only down side is the swimming pool. It's beautiful and we often had it to ourselves but the interior of the pool is finished in "peeble dashing". Very pretty but hard on the hands and knees of young children! Good value for money and a pretty good location. The food was pretty average though; the big breakfast sounded much better than it looked and tasted, and the coffee was terrible :( While the hotel was not exactly in the centre it wasn't a long walk and a few car hire places were right near the hotel, which was very handy. Cairns is nice but get out and explore the surrounds! Staff were friendly and helpful, great location if accessing medical facilities. Close to the esplanade and good value for money. Thank you for your feedback. We appreciate the time you took to provide your comments. We are very happy your stay with us was a good one. We hope to see you in the near future. Location. Location. Location. Everything is pretty much within walking distance - shopping, food, start point of activities, bus station. We certainly appreciate your great feedback about your stay at the hotel.